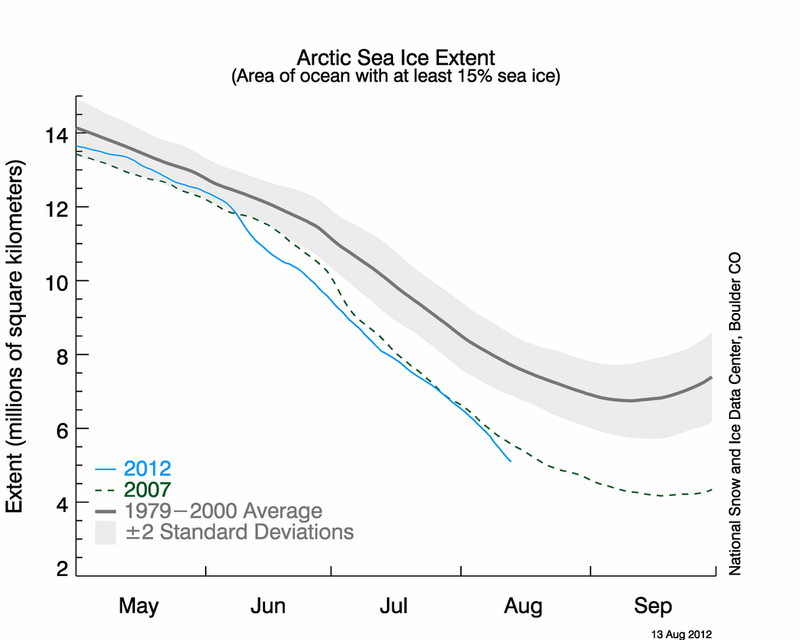 After a very rapid decline in sea ice area over the past couple of weeks, melt seems to have paused for a day or two. 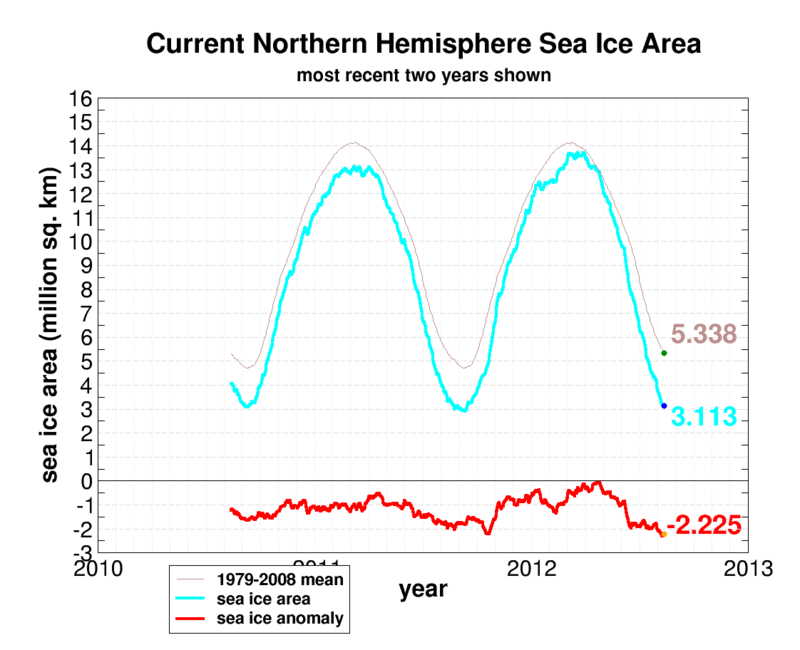 Current sea ice area values are around 3.11 million square kilometers. This is a value only about 200,000 square kilometers above the record low set in 2007. With one month of melt remaining, it appears likely that record low, or near record low territory will be reached by mid-September. 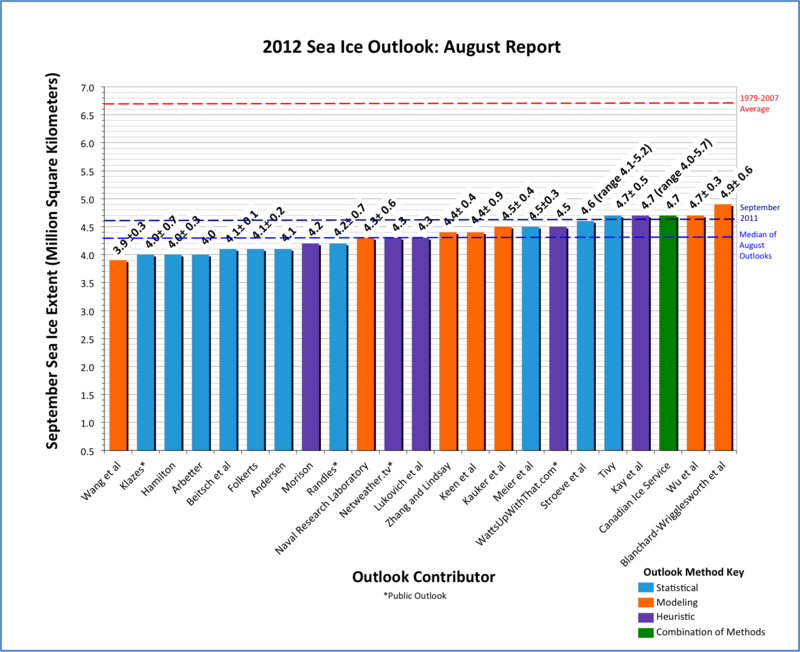 And like current measures of sea ice area, these extent numbers show sea ice very close to all time record lows. 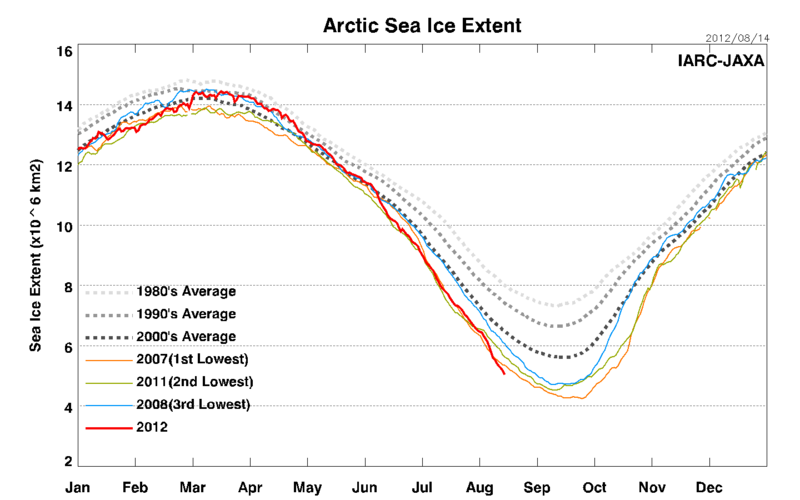 Weather events and water temperatures in the Arctic will likely determine whether sea ice continues to show rapid decline and breaches the record set in 2007. Another weather event like last week’s Arctic cyclone or even just a warm wind event will likely push sea ice to new all-time record lows. With four weeks of melt remaining, it appears ample opportunity for such events exist.